Very few people know about the fact that Rajiv Hari Om Bhatia is Akshay Kumar’s real name. He is professionally known by the name of Akshay Kumar. In this article, we are going to share Akshay Kumar Biography, Movies, Age, Salary and much more. Akshay Kumar is a renowned actor, producer, television personality, martial artist and a stuntman from Bollywood. The actor is also a sports enthusiast. He likes to live a healthy lifestyle so he does not smoke, drink or have any other addictions. Thumbs up for his choice of living in a world of fame and money around you. From the start, Akshay Kumar was determined in his work and made efforts to reach the position he is at now. It takes a lot of courage willpower and focuses to make yourself competitive for such a long time. Akshay Kumar is consistent in his work for almost 20 years now and it is remarkable. Actors have a very good height which brings attractiveness to their personality. In Bollywood, 5 ft 10 inches is considered to be the average height of the main hero. The height of Akshay Kumar is recorded as 5 ft 10 inches. Akshay Kumar was born on 9 September 1967. He stepped in the movie industry with his first movie at the age of 24 in the movie Sugandh. Currently, Akshay Kumar’s age is 51. Time passes so quickly that it doesn’t come to notice. Like all other people, Akshay Kumar also has a family and there are 4 members in his family including himself. A five-year-old daughter Nitara, 15year old son Aarav and his Actress turned wife Twinkle Khanna. Twinkle Khanna, a Writer, Blogger, and producer is Akshay Kumar’s wife. The two first met during a shoot for Filmfare magazine, in Mumbai, where Akshay developed an instant crush on Twinkle. Since then the chapters of the love started unfolding and ended up in their marriage. The couple got married on 17 January 2001 according to Wikipedia. Akshay Kumar is a great actor and many top-level directors want to cast him in their film. He is known for his Action, Comedy and Drama performances. Many of his movies became blockbuster and his name started to get recognition. Akshay Kumar signs at least 2 or 3 films a year, unlike other actors. Out of many hit movies of Akshay Kumar, we are sharing a list of Akshay Kumar top 10 hit movies below. Respective movies are on the To-do list of Akshay Kumar in the coming years. Most of the movies look interesting. Akshay Kumar performs in all types of Genres that is why he can be called as the most versatile Indian actor. If you want to connect with Akshay Kumar you can connect through various social media. People follow celebrities on social media like Facebook, Twitter, and Instagram. Facebook is the most popular Social Media that people use to share their personal life. Social media also helps in connecting with friends, family, and Celebrities. Akshay Kumar also uses Facebook to stay connected with his fans. A lot of talks are going on about Akshay Kumar’s 2.0 in which Superstar Rajinikanth is also featuring. Akshay Kumar is acting as a villain in this movie and has a major role. 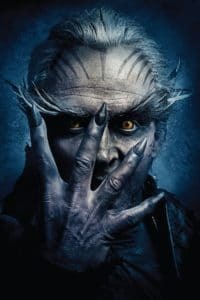 2.0 is the biggest budget Indian film ever released.